Jazz up your wing sauce with olive oil, garlic and lemon juice. It’s like Buffalo sauce made fancy. 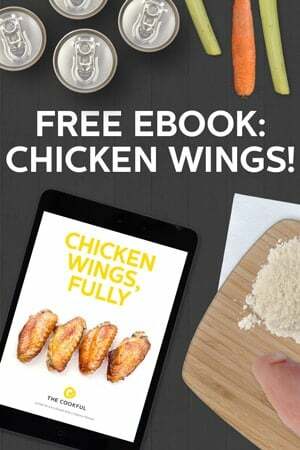 When we tackled the difference between hot sauce and wing sauce, we also told you how to make your own wing sauce at home. When we were taste-testing the wing sauce we thought about switching it up a bit to make it more interesting. We came up with a few different ideas that we tried. This was our favorite. You go in with the usual hot sauce and minced garlic. Then instead of Buffalo sauce’s standard melted butter, you use a combination of olive oil and lemon juice. Shazzam! Flavor sensation! The sauce tastes like Buffalo sauce but just a bit different. More refined. It’s seriously good. For a dip, we chopped up some fresh basil and added it to homemade ranch dressing. 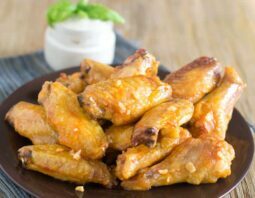 You can use store-bought ranch or go with the dip from our Indian-spiced wings, but use basil instead of cilantro. Oh, and one little tip before I go. 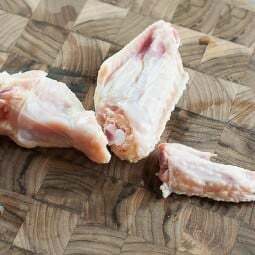 After you’ve tossed the wings in sauce and transferred them to a plate, dip into the remaining sauce with a spoon and get some of that minced garlic. Dot it over the wings so that you get as much garlic on there as possible. You just have to, right? Preheat oven to 425°F. Put a rack on a large cookie sheet. 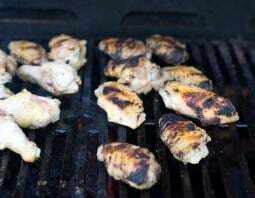 Arrange par-cooked wings on the rack in a single layer (if you only just par-cooked them, they'll already be on the rack. Leave them there). Bake them until very brown and crispy, 40-50 minutes. Meanwhile, in large bowl, combine hot sauce, olive oil, lemon juice and garlic. When wings are done, add them to the bowl of sauce and use tongs to toss them. Use tongs to transfer wings to a plate. Dot wings with any garlic remaining in the sauce. I love this. Crispy to the max. Best one I have ever tried and I have tried alot….I mean alot. Thank you. Roxanne, So fantastic to hear. Glad you liked them. Yay! No butter = not buffalo wing sauce. I demand you change the recipe name at once ma’am! Good day to you! Lol. I said good day! Adrienne, I’m excited that you are trying this method with drumsticks. Please come back and let me know how it turned out. 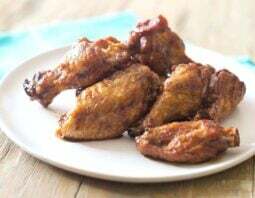 Love your idea on crisy oven chicken wings. Going to try tonight. Thank you so much for sharing. Rave reviews from guests…….all wanting the recipe. Richard, That’s awesome! Thanks for letting us know! Monique, that’s fantastic. Thanks for letting us know! I grew up in Niagara Falls, Ontario. Border town. Every Friday we would drive over to the Stares to Niagara Falls, New York for pizza and wings. I have eaten wings from all over New York State, including Buffalo. And I have to admit I am a purist usually when it comes to sauce. Frank’s, butter, a dash of vinegar. But I will only make your fancy wing sauce from now on. Bravo !!! Also the wings turned out perfectly in the oven. Thank you so much for this recipe. I will be making wings at home a lot more now. Shannon, I’m so happy that you like this sauce and the baked wings. Isn’t it funny how just a small twist in the recipe can make such a difference? Bob, So happy you liked them!!! I love to cook but ever since my wife turned into a healthy freak I am now searching for the best way to enjoy certain foods that are fried. 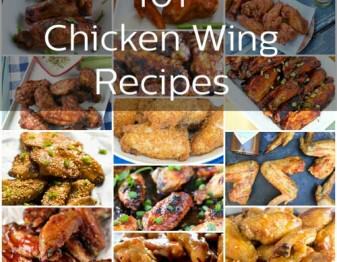 This recipe for the wings is a 100% hit in my household because my little one loves them also but just not with the sauce. Thank you so much for opening my mind. Albert, It’s so great to hear that. Thank you for letting us know! LOVE, LUV, LOOOOOOOOVE this recipe!! I am a bonafide, self-proclaimed, die hard and every other cliche you can think of, wing snob!! I have been on a quest for the perfect hot wing for nearly 30 years and Eureka!! I found it!! I can’t believe that all that has been standing between me and super yummy wings, was baking powder and 2 oven temp changes!! The sauce deserves a round of applause on it’s on, as well!! I did, however, “jazz” it up a bit by using frank’s buffalo wing sauce and added Thai chili garlic sauce for a little extra kick in the pants! Kudos to you, I’m in love with these wings!! Thank you!!! LOVE, LUV, LOOOOOOOOVE this recipe!! I am a bonafide, self-proclaimed, die hard and every other cliche you can think of, wing snob!! I have been on a quest for the perfect hot wing for nearly 30 years and Eureka!! I found it!! I can’t believe that all that has been standing between me and super yummy wings, was baking powder and 2 oven temp changes!! The sauce deserves a round of applause on it’s own, as well!! I did however, “jazz” it up a bit by using frank’s buffalo wing sauce and added Thai chili garlic sauce for a little extra kick in the pants! Kudos to you, I’m in love with these wings!! Thank you!!! didn’t mean to post twice…corrected a typeo and didn’t see any option to delete prior post. I’m excited about this recipe. Ever since my French grandma made baked wings with herbs, wings have been my comfort food. Now I live in a super health-conscious, read radically so, area of Northern calif., there are no local wing joints that are any good. I will try this recipe as soon as I find the aluminum-free baking powder! Susan, see Paula’s comment about how to make your own aluminum-free baking powder. This is like my 3rd time using this recipe, it’s a homerun!!! 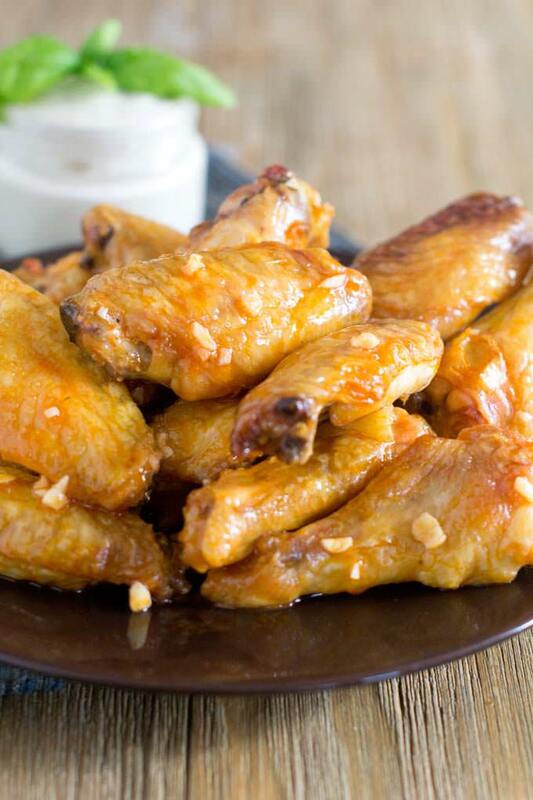 We love how crispy they are, and so far every sauce i’ve used compliments these wings perfectly! Thank you for sharing. What kind of hot sauce do you use?? In the post I liked to Frank’s Original Hot Sauce. You can use that or Tabasco. 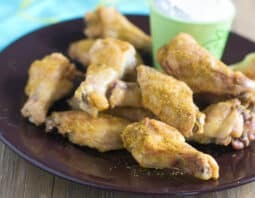 I made these last night both the wings and the sauce and they were definitely as advertised! 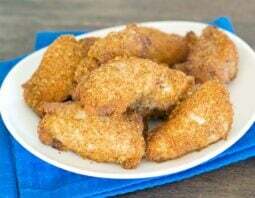 Even my husband who has hated my previous attempts at baking wings loved them. Thanks for the tips on the wings and the sauce!!! Angela, So delighted that even the tough-critic in your house liked them. Thanks for letting us know! 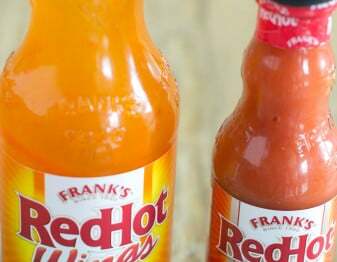 Hats off to your sauce, as I’m a Frank’s Red Hot Sauce and butter mixer! I’m Buffalo-born and raised now living in FL and I have to say, these were great and make me feel like I’m at Wingfest of Buffalo! Just an added note, Anchor Bar is NOT the only place to get great wings! Kim, It’s great to hear from a die-hard Frank’s and butter lover. I’m delighted that you liked this twist. Mrs. Peterson, I’m so happy that you like them. Thanks for letting us know! !